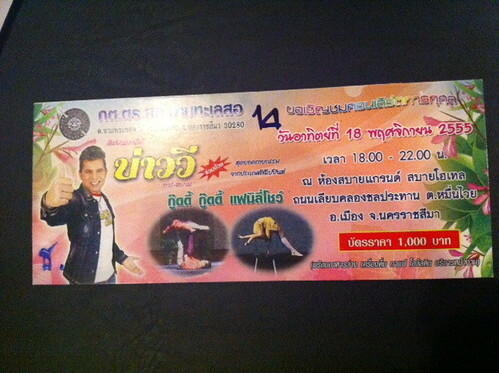 There is a charity concert at Sabai hotel tonight. Tickets are 1,000 baht. It is between 6pm and 10pm. 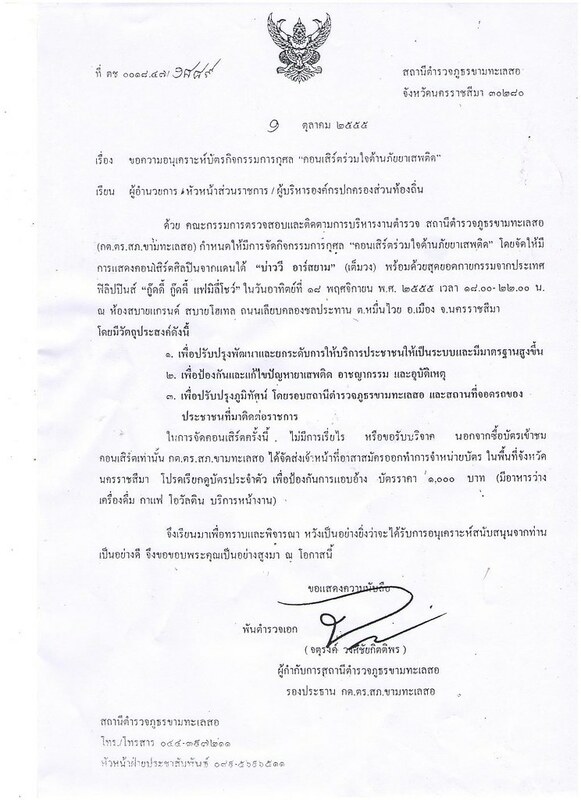 The money is going to the police station in Kam Thale So to help against drugs. You never know if these kinds of things are scams or not but we did called the sabai hotel and police and yes, it is a true event for charity.